A few months ago, my lovely friend Alison left the big smoke and headed back to the fair land of Scotland. Bidding adieu to her job as a Buyer for fashion chain Joy, she took up a role as an agent for a bounty of cool and original brands. 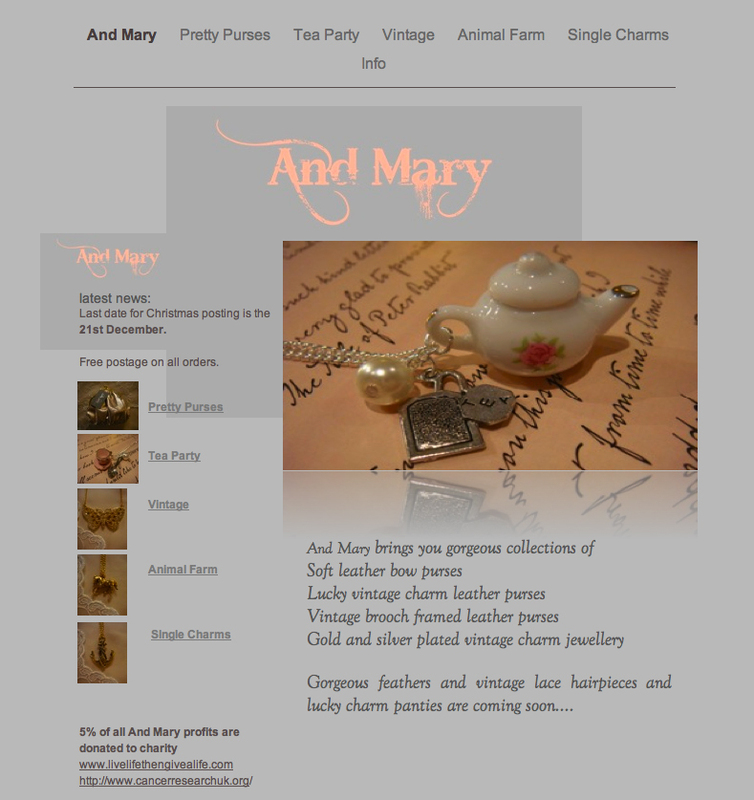 Since then, not only has she cranked up the sales but also managed to inject her quirky personality and a lot of extremely hard work into launching the And Mary website; a collection of really individual, beautiful pieces of jewellery and accessories. I’ve already placed an order for a gift, which just in case the receiver is reading, I won’t reveal exactly what for. Have a look yourself and you won’t be disappointed. From pony and poodle necklaces to teapot, cup and saucer vintage style charm bracelets, there’s something special for everyone. Best of all, you’ll receive complementary delivery and each item arrives wrapped in a delicate organza gift bag so no need to wrap. Just the ticket or Christmas! For more information or to place an order, visit www.andmary.com or email Alison Pratt on ajagencies@hotmail.com.